On Monday, China unveiled the world’s fastest supercomputer, Sunway TaihuLight which is powered by the microprocessor purely made in the nation. Being equipped with 10.65 million compute cores, the supercomputer is being seen as the China’s move to promote the homegrown technology without any imported aid, thereby a breakthrough in the domestic technology scenario. According to Bloomberg, it may be a threat to the US dominance. 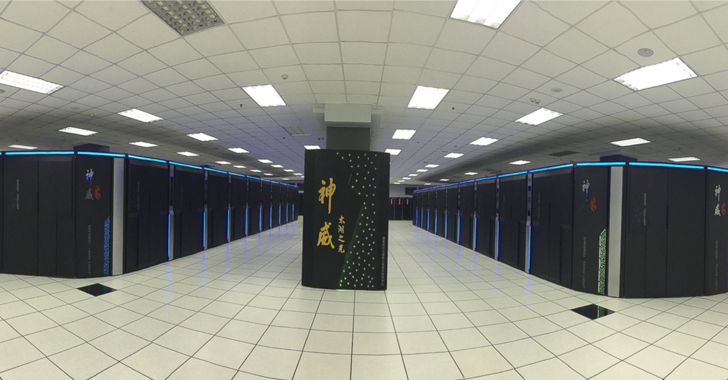 The supercomputer has been deployed at the state-run Chinese Supercomputing Center, Wuxi, Jiangsu province. Coming to its configuration, the system is composed of SW26010 processor and 41,000 chips, each with 260 processor cores, and 1.3 petabytes memory. Sunway TaihuLight is believed to be the double powerful than the previous one, Tianhe-2. It can perform nearly 93 quadrillion calculations per second. The supercomputer is five times fastest than the third speediest supercomputer in the world, which is from the USA. It is interesting to know that U.S. banned Intel from supplying Xeon chips to China’s supercomputing units on the suspicion of nuclear explosive activities. The market for supercomputing is very limited in comparison to their common computer chip counterparts. But with its homemade processor, China is in the commanding position to provide its solutions to server manufacturers and data centers, thereby threating the competitors like Intel and Qualcomm. That’s why both Intel and Qualcomm have been teaming up with the local technology companies as they know the importance of the Chinese market.